"Modern, sophisticated and elegant" are the best words to describe this classic arrangement. Oh, and of course, purple! 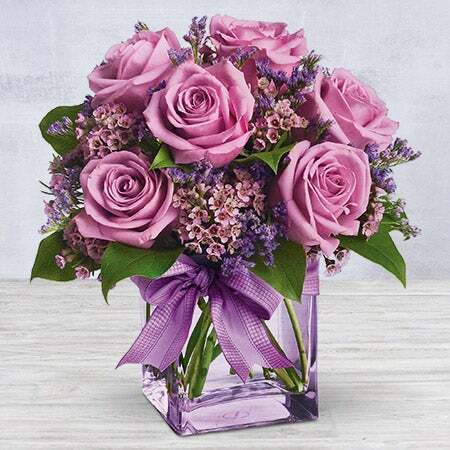 Allow these lovely blossoms to tell that special someone you care.